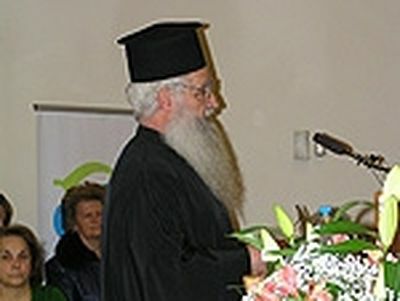 On the Sunday of Orthodoxy, Greek cleric Archpriest Theodore Zisis announced that he was ceasing commemoration of his ruling bishop, Metropolitan Anthimos of Thessaloniki, believing that his support of last year’s Pan-Orthodox Council on Crete, which acknowledged the term “church” for other Christian confessions, constitutes a fall into the heresy of ecumenism, which denies that the Orthodox Church is the one, true Church. The next day the metropolitan suspended Fr. Theodore from his priestly duties, reports AgionOros.ru. God bless, Fr. 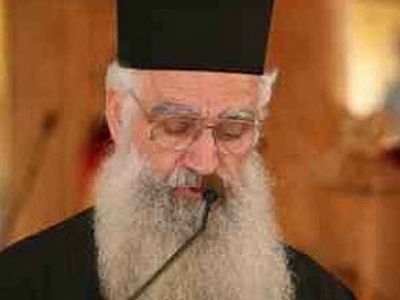 Zisis for standing up against heresy in the church. My God grant him strength to continue on and many years. I see a rise of narcissism and despotism within the church. My recommendation is to follow the Teachings of Jesus Christ and the Holy Fathers and cast your egos aside. It's not too late to save your souls. Father Zisis ! You are a great inspiration in the way you serve Christ and the Orthodox faith . Pray for me that I , a layman , can be worthy to suffer for Christ . The preachers of NEW DOCTRINES are the heretics, not the defenders of Orthodoxy. Our times and the struggle against Ecumenism is no different than the struggle against other heresies the Orthodox Church has defeated. It is typical that the deluded promoters of heresy use excommunication as their last resort. But it is an honor to be excommunicated by them. Remember that the idolatrous pope excommunicated all of the Orthodox... it is an honor to be recognized as their enemy. 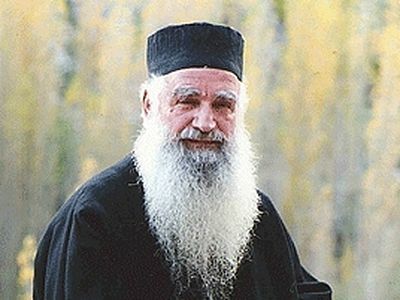 GOD BLESS Father Zisis!! Remember him in prayers. Orthodox are obligated NOT to follow heretical Bishops! Decades ago Orthodox writers warned that the day would come when those who defend the truth would face excommunication. So be it. The faithful HAVE NO CHOICE! God sees all and will judge all of us, clergy and laity, alike. If anything, heretical clergy will be judged more harshly. For many, many years now Orthodoxy has been infiltrated and incremental changes, bad ones, have been unfolding. Anyone who can't see and FEEL this is either in denial or has been sleeping for years. Clearly, the Patriarch of Constantinople is a heretic and many have ceased to follow him and rightly so! There will be many bad days ahead but "those who endureth to the end will be saved." When you are a priest, you are subject to the limitations that go with the calling. You commemorate your bishop. And if you will not, then you cannot be a priest. The priest cannot be the judge of the bishop. He is now a schismatic. Schism is worse than heresy. It is a sad tragegy. Remember folks. St Nektarios of Pentapolis was also defrocked on spurious grounds. He died without ever having his name cleared by the Patriachate of Alexandria, and it took Papa Petros of Alexandria in the 1980's to clear his name and seek pardon from the saint AFTER he Pater Nektarios had already been canonised by the then Patriarch of Constantinople Athenagoras I think in the 1960's. 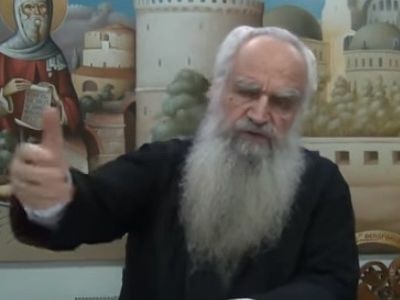 The point is Pater Theodoros is 100% correct in his defence of Orthodoxy, and his name will be exonerated one way or another. This dastardly deed by the wolf Anthimos is groundless. I simply hope that he realises he and his Phanar are the one's who better repent of their heresy. We should all pray with our hearts for Pater Theodoros. He needs our prayers at this time very much.